There are a lot of great Christmas movies. Scrooged, Bad Santa, Home Alone and A Christmas Story to name a few. From the sappy and sentimental to the downright ridiculous, look long enough and you can find a Christmas movie to suit whatever sort of holiday mood you happen to be in. 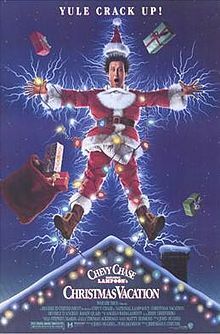 One of my personal favorites though, will always be National Lampoon’s Christmas Vacation because, let’s face it, there’s something about Christmas that can bring out the crazy in the sanest of people, and there’s something about seeing another family’s dysfunction that can help you take your mind off your own. So tell me, what are some of your favorite holiday flicks? Hahaha! It is definitely a classic! 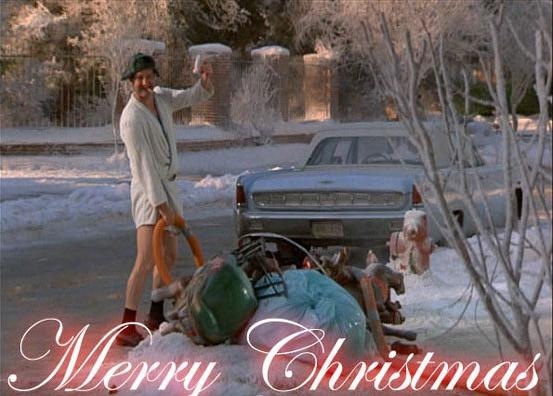 I don’t know if I can even pick a favorite part…maybe when cousin Eddie is emptying his chemical toilet in the sewer. That gets me every time.